Tungsten Carbide Buffing Disc is designed for buffing rubber and fabric, leading to a rougher and long life surface. 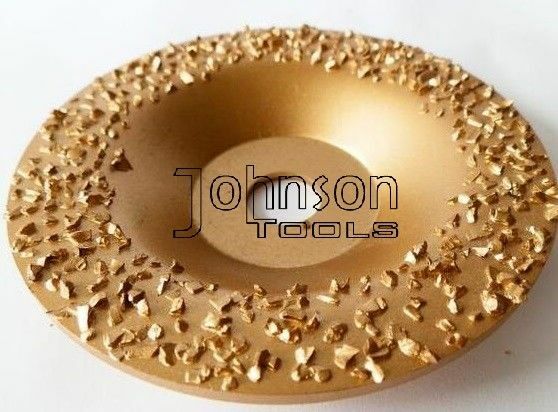 It is made of special tungsten carbide granule, with this grit, it can roughen rubber more quickly and evenly than other abrasive disc. Rubber surface can be avoided aging in grinding process. 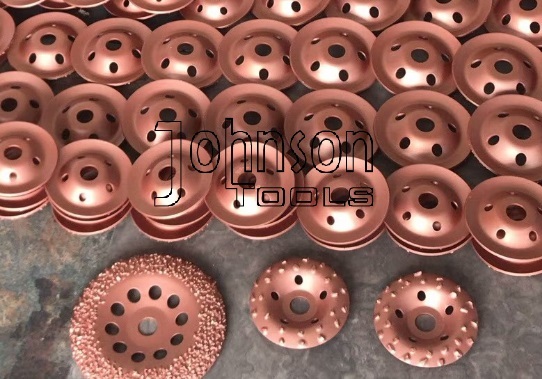 Use this grinding tool lead to a high work-efficiency. Spec. available: 115mm, 125mm, 180mm. Special spec. can be done based on your request. Some clients call 16/20, 20/25, 25/30, 30/35, 35/40, 40/50, 50/60, 70/80, 80/100, 100/120. Some clients call 4mm carbide rough, 10#, 20#, 30#, 40#, 60#, 80#, 100#. Interested in it? pls conact us today!